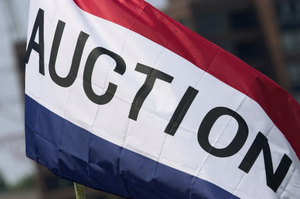 This week we learned of a sale and a pending sale of two icons of the United States. In one it's only a landmark. ("Only?) But the public relations effects of the other? That may be a different story. 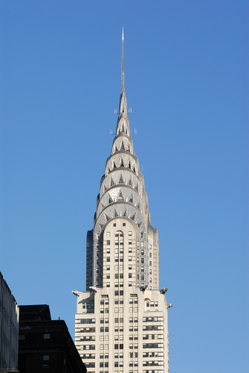 The week started off with the announcement that the Chrysler Building, an iconic structure built in 1930, might well become the property of the folks in Abu Dhabi. Abu Dhabi for cryin' out loud! Any idea where the heck that is? No? Right here! Oh...and money is no problem with the third highest per capita income in the world. OK, for years we've been selling off buildings, toll roads and farming interests so the fall out from this latest land grab might not cause a ripple. It should...but it won't. Now enter the latest news story about selling another icon of America. It's the possible sale of Anheuser Busch to a Belgian company. This very well might bring on a gasp from the Budweiser faithful. That could mean trouble not only in Saint Louis but more importantly among the NASCAR crowd that might not cozy up to take over company InBev. But, then again the Busch Series of racing is now Nationwide. However, in our best Homer Simpson voice: "Insurance, ain't beer!" Bottom line is not always the money made but the image served up to the public. Our take: A disaster for market share is in the works should we put a Belgian crown on the "King of Beers".